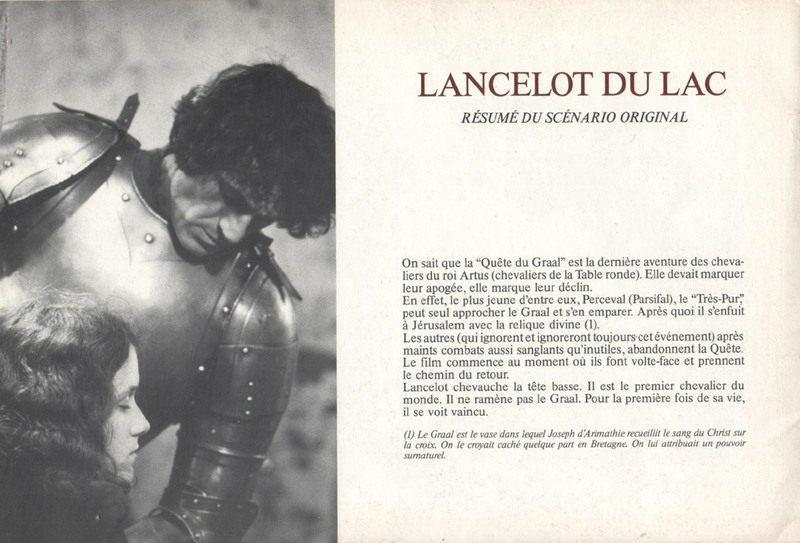 Lancelot du Lac (French, 1974) — This is the original 20 cm x 30 cm French pressbook from 1974 with art by Savignac and stills from the film and photos from the set of the film. 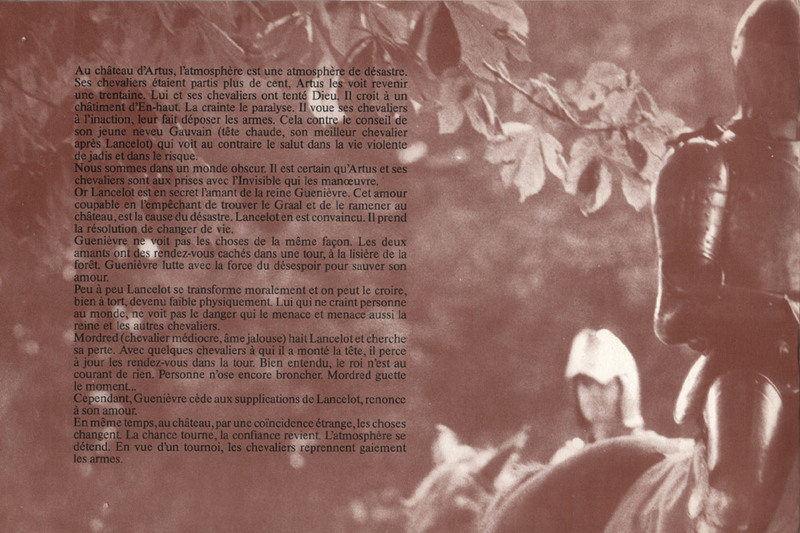 The entire programme, which includes an interview with Robert Bresson (previously published in L'Avant-Scène du Cinéma no. 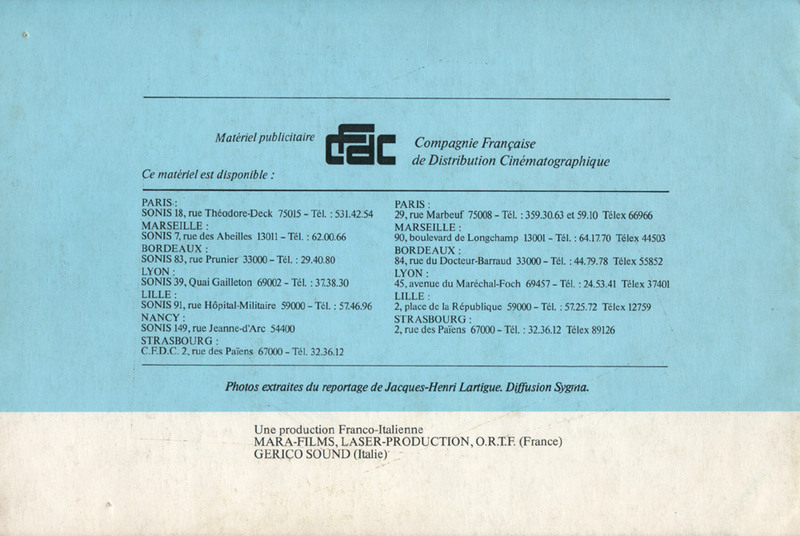 155, février 1975, pp. 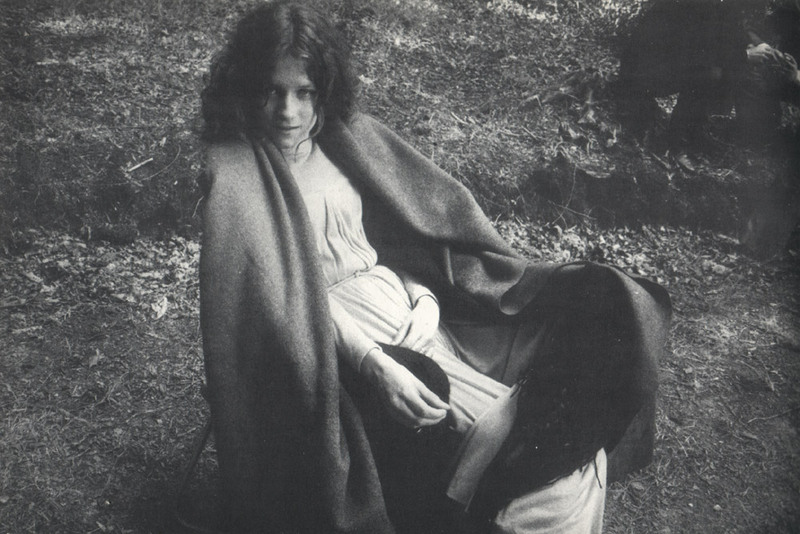 46–49), has been translated into English for robert-bresson.com by Jon Lomax. Further helpful advice provided by Jonathan Hourigan. 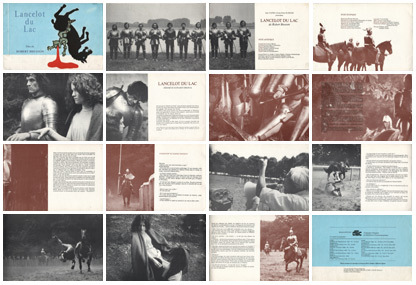 Scans provided by Mastersofcinema.org's own Nick Wrigley. 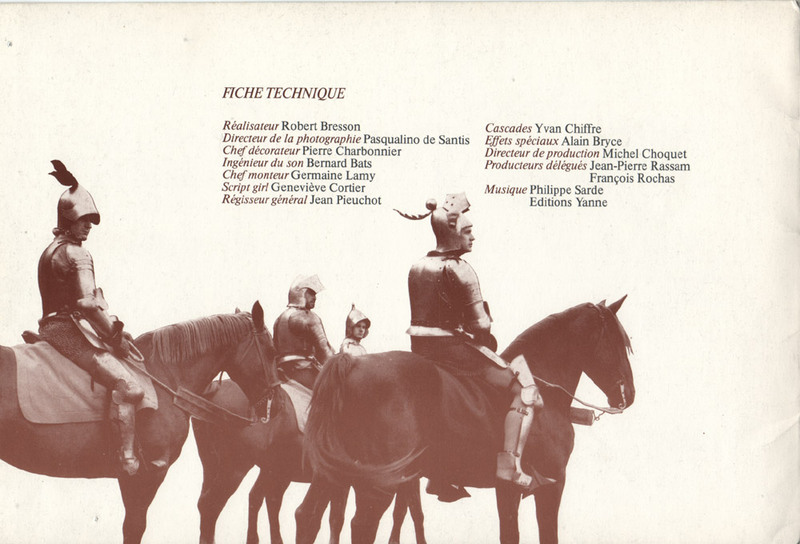 Joseph Patrick Le Quidre, Charles Balsan, Christian Schlumberger, Jean-Paul Leperlier, Guy de Bernis, Philippe Chleq, Jean-Marie Becar, Antoine Rabaud, Marie-Louise Buffet, Marie-Gabrielle Cartron. It is well known that the "Quest for the Grail" is the last adventure of the knights of King Arthur (the Knights of the Round Table). It was to mark their apogee; it marks their decline. In fact, the youngest of the knights, Perceval (Parsifal), "The Pure", is the only one able to approach the Grail and seize it. After which he leaves for Jerusalem with the divine relic. The others (who ignore and will always ignore this event) after much combat, as bloody as it is pointless, abandon the Quest. The film starts at the moment where they turn about-face and make their way back. Lancelot rides with his head hung low. He is the greatest knight in the world. He is not bringing back the Grail. For the first time in his life, he is seen to be defeated. The Grail is the vessel in which Jospeh of Arimathea collected the blood of Christ on the cross. It is believed hidden somewhere in Brittany. A supernatural power is attributed to it. At Arthur's castle the atmosphere is of one of catastrophe. More than a hundred of his knights left, but Arthur only sees around thirty of them return. Arthur and his knights have taken on a superhuman enterprise. He believes in a punishment from above. Fear paralyses him. He commands his knights to inaction, for them to put down their arms. This is against the council of his young nephew Gawain (hot-headed, his best knight after Lancelot) who, contrary to Arthur, sees salvation in the former times of violent days and risk. We are in an obscure world. It is certain that Arthur and his knights are battling against the Invisible which manipulates them. Aside, Lancelot is the secret lover of Guinevere. This sinful love has prevented him from finding the Grail and bringing it back to the castle; it is the cause of the catastrophe. Lancelot is convinced of this. He is resolved to change his life. Guinevere doesn't see the situation in the same light. The two lovers have their secret meetings in a tower at the edge of the forest. Guinevere battles with all the strength of desperation to save her love. 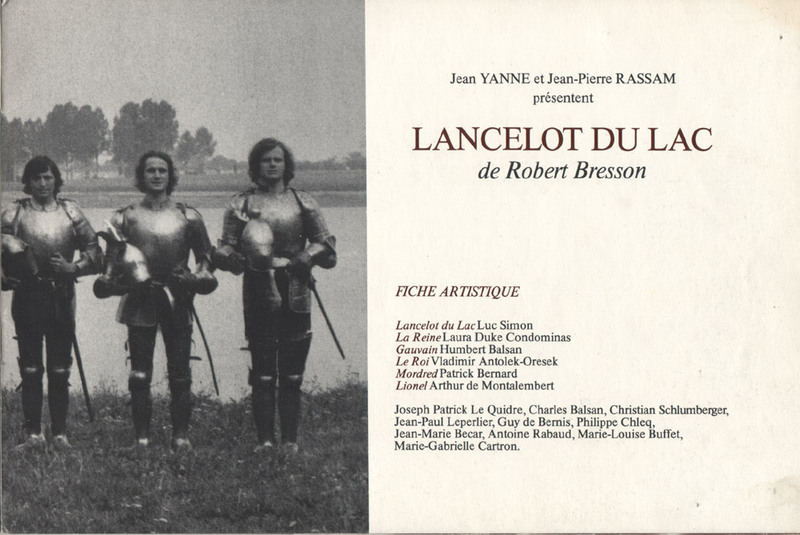 Little by little Lancelot transforms himself morally and one can believe that he, well in the wrong, becomes physically weak. He, who has no fear of anyone in the world, cannot see the danger that menaces him, just as it menaces the Queen and also the other knights. Morded (mediocre knight, jealous soul) hates Lancelot and looks for his downfall. With a handful of knights who he has given big ideas to, Morded has a breakthrough finding the meeting place in the tower. Of course the King knows nothing of what's going on. No one would dare bring this up. Morded waits for the right moment... However, Guinevere yields to the supplications of Lancelot and renounces her love. In the castle, at the same time, by a strange coincidence, things change. Chance turns and confidence returns. The atmosphere relaxes. 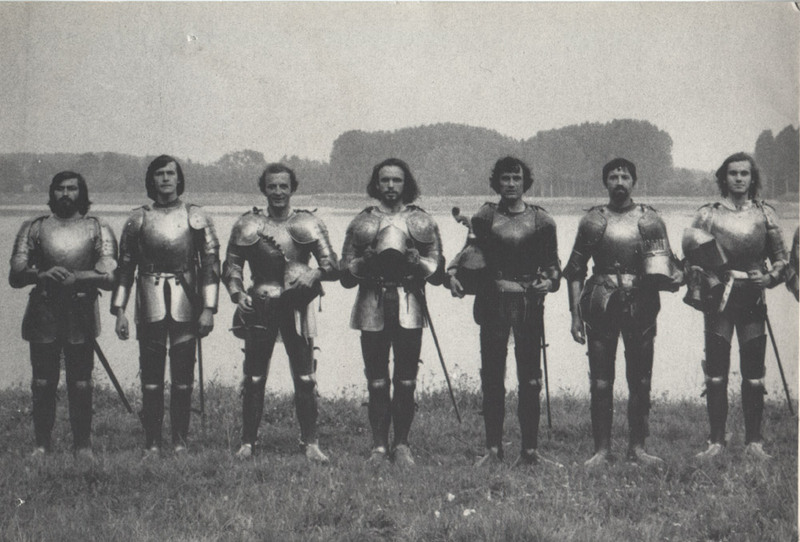 In view of a tournament, the Knights cheerfully take up their arms again. However, it's at their last meeting, just at the moment when the two lovers swear that all is finished between them, that an irresistible force pushes them into each other's arms. From then on, Lancelot will have to accomplish tour de force after tour de force, miracle upon miracle, nothing will stop the machine that is on the move. The scandal blows up in his absence. Injured in the tournament, he disappears. Guinevere is thrown into panic. Morded unmasks her. She courageously proclaims her love. Gawain attempts to save her. "Spiritual love," says Gawain, "not carnal." She is thrown into a dungeon. Lancelot returns, rescues her. To rescue her, he must kill many knights. Lancelot, Guinevere and around fifty knights, friends of Lancelot, take refuge in a castle that is besieged by Arthur. In a sortie, Lancelot, failing to recognise his admirer and affectionate friend, fatally wounds young Gawain who has taken up arms alongside Arthur. In accordance with Gawain's dying wish, that no more blood should be spilt, Arthur proposes that, on condition Lancelot leaves, he will take back Guinevere as wife and Queen (adultery would never be proven). A long night passes during which Lancelot and Guinevere decide to separate for all time. Lancelot solemnly returns the Queen to the King. Mordred has stayed at the castle and stirred up the neighbours. His intention is to take Arthur's place. Without hesitation, Lancelot takes up arms in the service of Arthur against Mordred. In the final battle Arthur and the remaining knights are overwhelmed. Lancelot dies murmuring (beneath his helmet): "Guinevere"! Interviewer: What have you attempted with this subject? 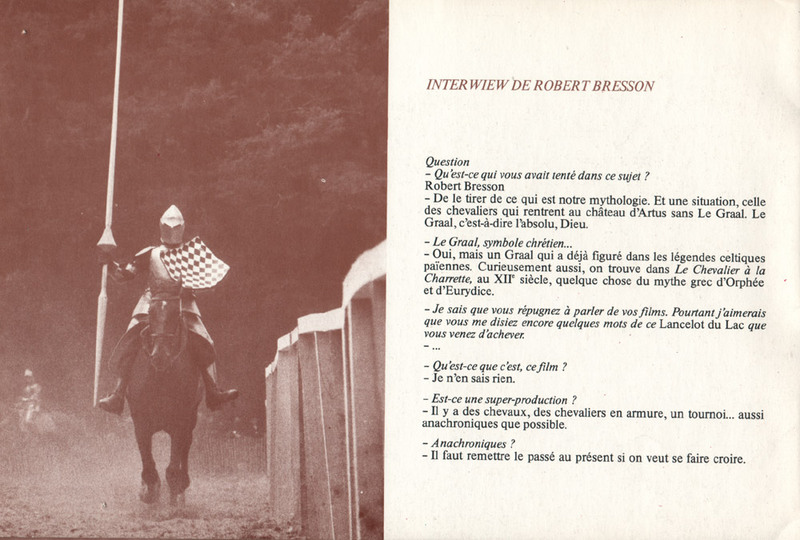 Robert Bresson: To draw out that which is our mythology. And a situation, that of the knights returning to Arthur's castle without The Grail. The Grail, that's to say the absolute, God. Yes, but a Grail already figures in pagan Celtic legends. Curiously as well, one can find in Le Chevalier à la Charrette, from the 12th century, something of the Greek myth of Orpheus and Eurydice. I know that it repels you to speak of your films. Yet, all the same, I'd like you to say a few more words on Lancelot du Lac and what you've come to achieve. What is it, this film? 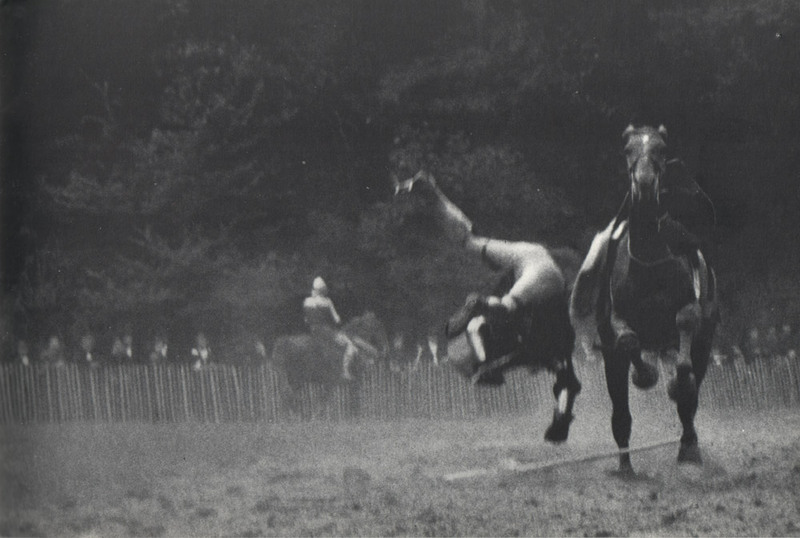 There are horses, knights in armour, a tournament...as anachronistic as possible. You need to remove the past to the present if one wants to make it believable. This Middle Ages of your invention, has it cost a lot? Usually, expense doesn't bring good luck to the cinematograph. 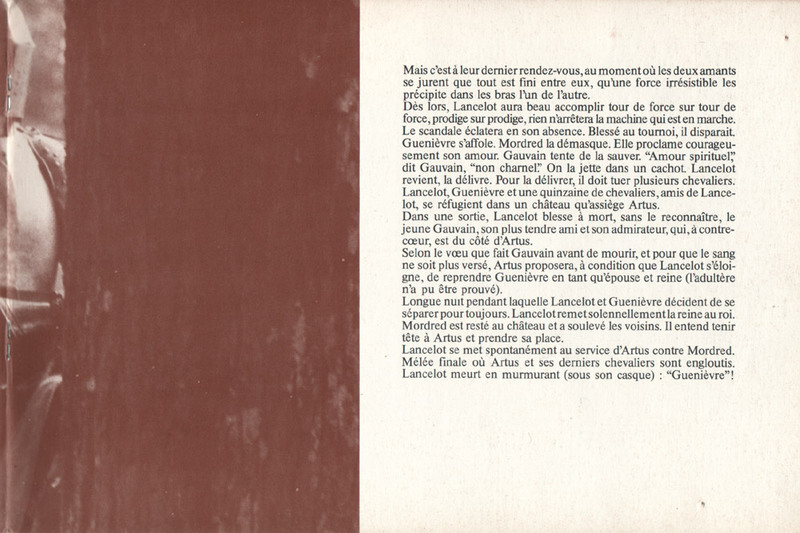 Fortunately, for Lancelot du Lac a lot of money wasn't a luxury. 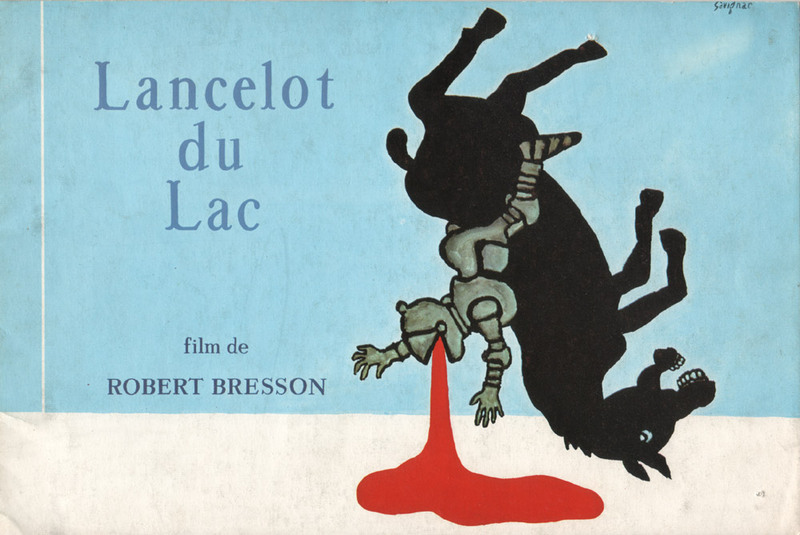 As in these Breton adventures tales where blood runs over all corners of the land. 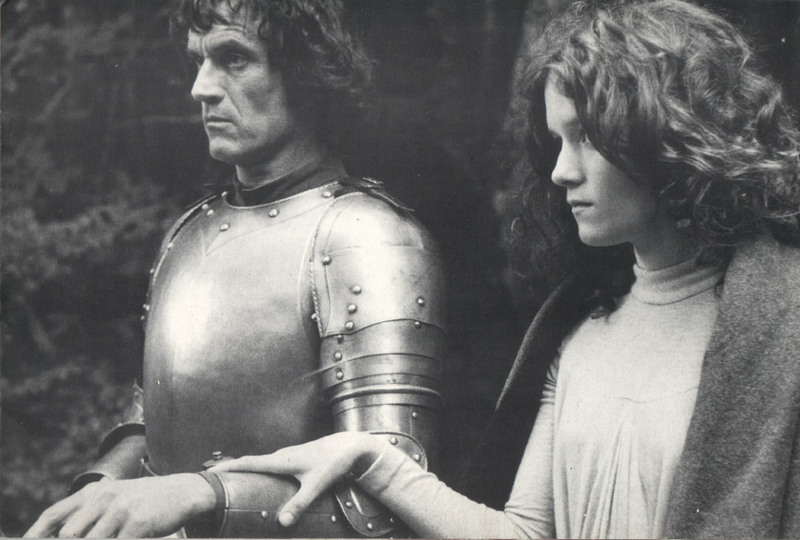 Lancelot and Guinevere, it's Tristan and Isolde without the love potion. Predestined love, passionate love battling against insurmountable obstacles. It's this love and its fluctuations which give their movement to the film... There you go, I've told you everything. One more second...you have, of course, written everything yourself. Have you improvised a great deal? I'm believing more and more in the necessity of improvisation. I wrote it a long time ago. I retouched it little by little during the filming. Do you look for difficulty? It clings to me. Same as speed. I've often noticed that that which I've not been able to resolve on paper, if I resolve it on location, whilst filming, it's that which I do the best. 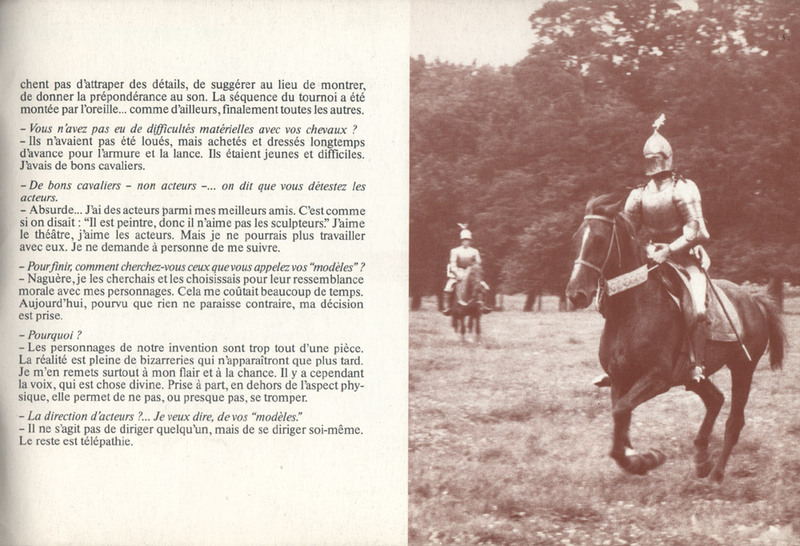 Filming with horses, knights in armour, an enormous cast of extras — has that not bothered you? You've not been accustomed to this. ...doesn't stop the capturing of details, suggesting rather than showing, giving prominence to the sound. The tournament sequence was staged for the ear...as elsewhere, eventually all the other sequences. 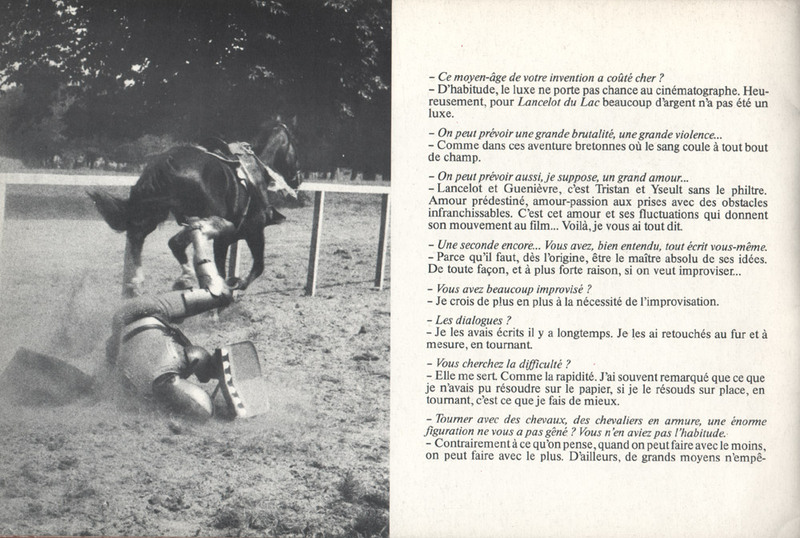 You didn't have any physical difficulties with your horses? 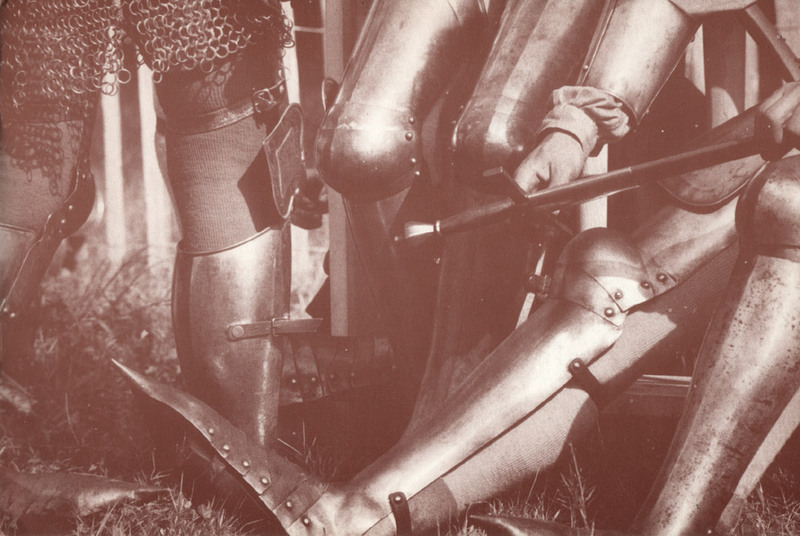 They hadn't been rented but bought and prepared well in advance for the armour and lances. They were young and difficult. I had good horsemen. 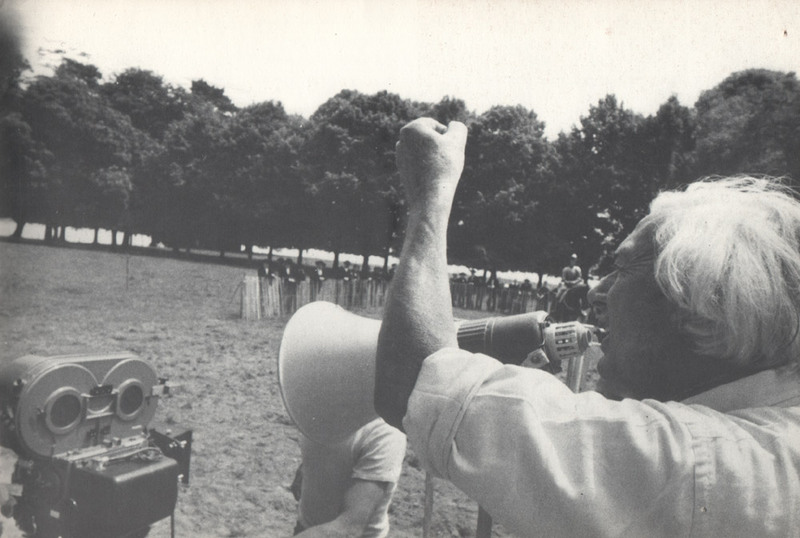 Good horsemen — non-actors –... it's been said that you hate actors. Absurd... Some of my best friends are actors. It's as if one said: "He's a painter, therefore he doesn't like sculptors." I like the theatre, I like actors. But I wouldn't be able to work with them. I don't ask anyone to follow me. To finish up, how do you look for those that you call your "models"? Formerly, I looked and choose them for their moral resemblance to my characters. This approach cost me a great deal of time. Today, as long as nothing appears that is contrary, my decision is made. Characters of our own invention are all too much of a piece. Reality is full of eccentricities that don't appear till much later. Above all, I rely on my flair and to chance. There is, nevertheless, the voice, which is a divine thing. Taken apart, separately to any physical aspect, it doesn't permit one, or nearly doesn't permit one to be misled. The direction of actors?... I mean to say, of your "models". It isn't a question of directing someone, but of directing oneself. The rest is telepathy.